NCI bought Axa’s well-established pet insurance division in 2014. The move attracted quite a lot of criticism from Axa customers, who were worried their premiums will go up, particularly for pets with existing medical conditions. NCI offer a range of insurance products including pet. It also operate pet insurance under the brand of 4Paws. 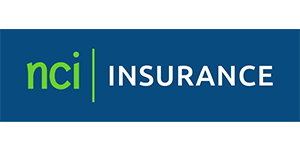 This a specific brand dedicated to pet insurance and is still part of NCI. You can get a quote on the 4Paws website here. NCI previously traded under the name Vets4Pets, but that was changed in 2013. Accident only - This policy is time-limited and includes £1,250 for vet fees relating to accidents, £500 for complementary treat, £300 in the event of death and £1m for public liability. Standard – A time-limited policy designed to help with the initial costs of veterinary treatment. It offers £3,000 in vet fees cover for up to 12 months per incident. It includes up to £1m in third party liability per year (for dogs only). Maximum Benefit - This is a per-condition and includes up to £7,000 of vet fees per condition. There are a number of other policy features such as public liability, cover for death and loss from theft or straying, and holiday cancellation. Lifetime - As the name suggests, this is a lifetime policy and includes up to £12,000 in vet fees per year, up to £750 per year complementary treatment cover, up to £1,000 per year for boarding fees and advertising and reward, respectively, and up to £3m in third party liability per year (for dogs only). Find out about the definitions of insurance types with our pet insurance FAQs. NCI also offers insurance for Rabbits. It provides up to £2,000 per year for veterinary fees, up to £750 per year for complimentary treatment and up to £250 per year for boarding fees and advertising and reward, respectively. The rabbit has to be younger than 7 at the time the policy is taken out, and an excess charge applies. NCI also operates pet insurance under the brand of 4Paws. The policies for both cats and dogs are exactly the same as those found on the NCI website. You can get a quote from 4Paws here. How much does cover from NCI pet insurance cost? With almost all pet insurance companies, the cost of pet insurance varies widely depending factors like the age and breed of your pet, and which part of the UK you live in. NCI also operates pet insurance under the brand of 4Paws. The brand is dedicated to pets and the policies for both cats and dogs are exactly the same as those found on the NCI website. You can get a quote from 4Paws here. Follow this link to get a quote from NCI Pet Insurance. Then check out our pet insurance policies here.